$14.50 early bird - $16.50 regular adv. 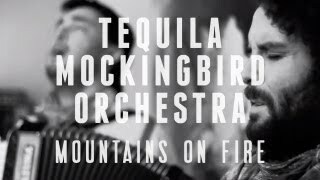 Thursday, January 12, 2012 at the Victoria Event Centre will be the first of many incredible events of 2012 when SHANE PHILIP and TEQUILA MOCKINGBIRD ORCHESTRA join forces to bring us a music paradise like no other for all ages to enjoy. It's been too long since we've seen either of these two bands around the Island. You may remember the last two shows Shane Philip has appeared on in Victoria have been nothing less than unforgettable. 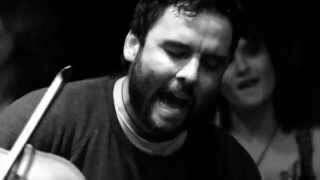 The last plays were with Gaudi at Sugar Nightclub in October 2010 and earlier that same year at the Victoria Ska Festival with Katchafire and Mindil Beach Markets. Now Shane Philip makes his long awaited return to Victoria with his latest album Life. Love. Music. going strong gaining momentum nationally and gaining him spots on the Open Sky Music Festival and opening for The Wailers in Vancouver (also January 2012). Borrowing from folk, reggae, blues and beyond, Shane Philip blurs the boundaries of expectation and music into an altogether unique soundscape. "We are influenced by everything we listen to, see and do," Shane reminds. "So much of what shapes the music, vibe, content, and overall feeling of the songs is unconscious. I write music that results from everything that goes on in the life I live. This time Shane Philip will be playing alongside longtime Island nomads - TEQUILA MOCKINGBIRD ORCHESTRA. Since you may have seen them a year ago TMO have been constantly touring throughout Canada and the US. Despite band members moving to other places throughout North America the band has managed to retain and build on their music and international appeal. TMO delivers their brand of acoustic, high energy Gypsy-Roots-Ska-Folk-Grass with dedication and precision, keeping it exciting and generating dancing fans with every show. They've sold hundreds of albums at individual shows, and tend to always be that name you overhear someone saying "Did you see that band?" The Tequila Mockingbird Orchestra have consistently followed the demands of their fans, taking them from a 4 month tour in Europe in 2008, national and international tours in 2009, 2010 and 2011 that garnered much recognition, winning 2010 Monday Magazine “M” award for Most Promising Band, and performing showcases at NXNE, Folk Alliance, and this year at OCFF.